We’re year ’round outdoor grillers. Neither rain nor snow nor sleet nor hail keep us from firing up the grill, whether it’s to cook meat, or fish, or veggies, or pizza, or even—in the case of our oven going kaput the night before Marin’s 3-year birthday party this past winter—a tray of gluten-free baked ziti. Seriously. But with spring officially here now (and the temperatures to match), we’re thinking even more about grillin’ and outdoor livin’. In fact, we’ve even broken out the deck furniture and umbrella. The woodchucks that lived under the deck last spring are back again this year. And this time around we’ve augmented the backyard with a small soccer net for the girls. Of course, we can’t manage to grill for any length of time without doing up some good ol’ barbeque. From our standard BBQ sauce, to a chipotle-spiced version, to many other variations, we’re suckers for a good sauce. Remember when we went head over heels for the bbq ribs at The Buccaneer in St. Croix? Well, the sauce was one of the main selling points. And you know us … we couldn’t resist coming home, heading straight into the kitchen, and not coming back out again until we’d come up with our own version. 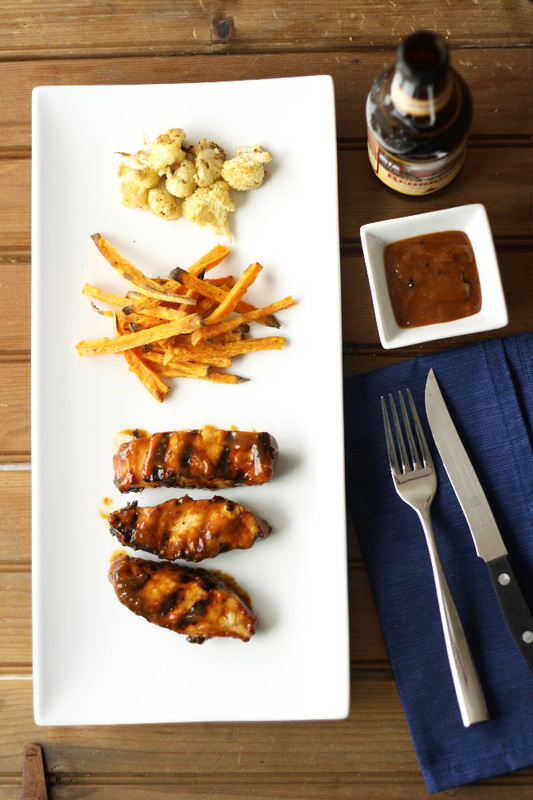 The result—Island BBQ Sauce—has a distinctly Caribbean flair, with pineapple and guava. But it’s still undeniably a well-balanced bbq sauce that’s finger-lickin’ good. 1. Whisk together all ingredients until well-mixed. 2. Use 1 1/2 cups of the sauce to marinate your chosen protein. Reserve the remaining 1 cup to make a thicker sauce. 3. While your protein is marinating, preheat your grill to medium. 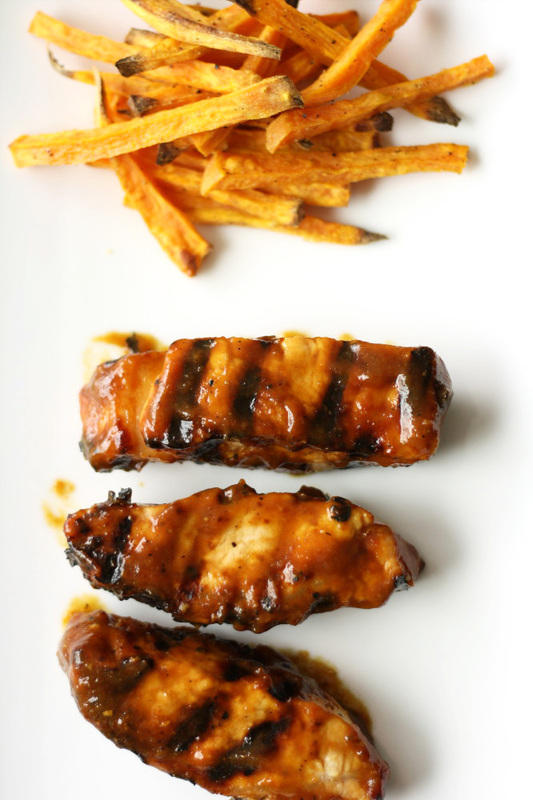 Then grill your protein, brushing with the marinade throughout grilling. 4. Meanwhile, whisk 1 tsp cornstarch into the 1 cup reserved sauce. Bring to an easy boil over the stovetop, just until the cornstarch clears and the sauce thickens. Let cool. 5. 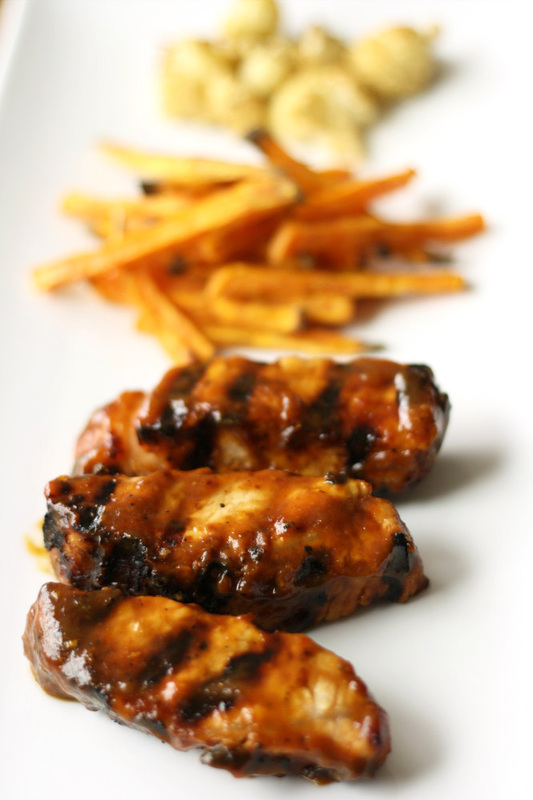 When your protein is done grilling, toss in the thickened bbq sauce to coat. 2.5 cups of Island BBQ Sauce is enough for about 12 to 15 ribs. You could easily use the sauce for bone-in ribs, country-style boneless ribs, chicken breasts, tofu … let your taste buds run wild. You can also mix up a batch of the sauce, and then use only as much as needed for the quantity of protein you’re grilling, keeping the rest in the fridge for later. For example, we recently made just half a dozen country-style ribs, so we made a full batch of sauce, but marinated in 3/4 cup sauce, thickened 1/2 cup sauce to coat, and reserved another 1.25 cups sauce in the fridge for later in the week. This recipe is: gluten-free, dairy/casein/lactose-free, egg-free, peanut-free, tree-nut-free, fish-free, shellfish-free. Depending on your ketchup and Worcestershire sauce, it may or may not also be refined-sugar-free, soy-free, and vegetarian. Per tbsp: 12.5 calories, 0g fat, 3g carbs, 0g protein, 2.5g sugars, 57mg sodium. Yummy! Many thanks for site. Awesome recipe. Have a nice day!